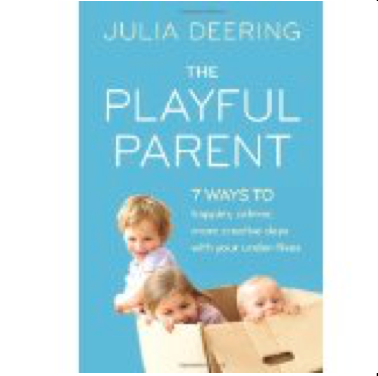 Julia Deering is a leading expert on child learning development and creative play, specialising in the under-fives. Her first book THE PLAYFUL PARENT (HarperCollins, 2014) shows how to tune into a child’s playful instincts and make the lure of play the parenting tool of choice - instead of the tyranny of the dreaded naughty step. 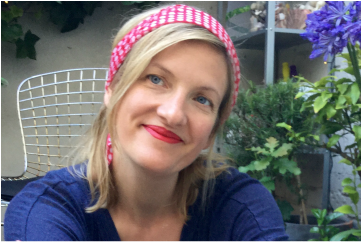 She has written about creative family life for The Mail on Sunday and regularly contributes to a range of parenting and craft blogs, including BritMums, Modern Parents, Messy Kids and Mumsnet, and The British Museum website. She also blogs about playing with her family at Adventures at Home. After graduating at Cambridge she did a postgraduate degree in Museum Studies and went on to work as a primary school teacher and BBC education officer. Now Julia leads play sessions at the British Museum in London and runs art, design and history workshops for school groups at the Victoria & Albert Museum. She also visit schools as a storyteller, helping young children become storytellers themselves. She lives in Hackney in London with her stand-up comedian husband Rob Deering and their two young children. Follow Julia Deering on Twitter. Watch Julia Deering on YouTube.